Parabellum has designed a Rally shield and a Touring shield which offer the best protection in the dirt and on the street. 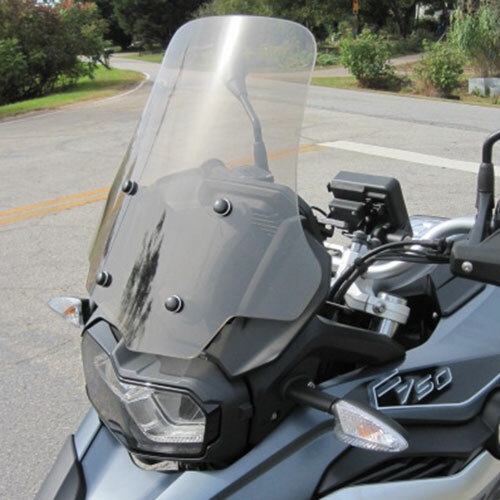 Both windshields are bolt on replacements and come complete with new fasteners. 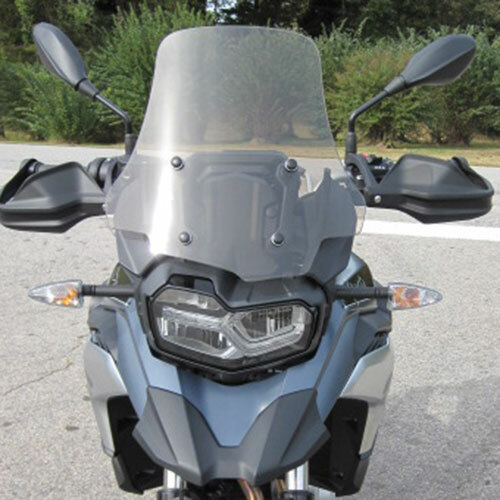 The stock BMW flyscreen is 8.5 inches tall and 12.5 inches wide at the widest point. The Parabellum Rally shield is much more substantial at 18 inches tall, 15.5 inches wide at the widest point tapering to 9.5 inches at the top of the windshield. The shields are made from 3/16 inch cast acrylic for excellent clarity and are offered in clear or tint.